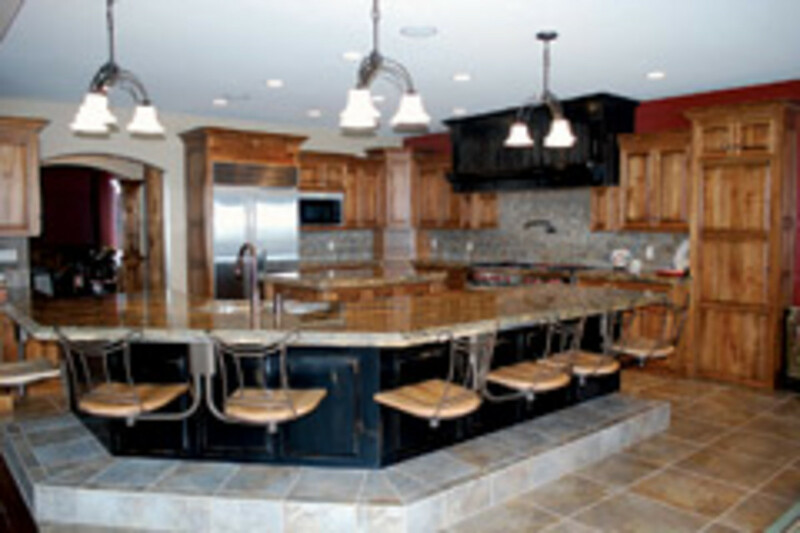 Established in 2007, Merrill Woodworking and Design in Rigby, Idaho, features a lineup of state-of-the-art machinery, allowing the company to offer a range of cabinetry styles for clients throughout Idaho, Utah, Wyoming and Montana. 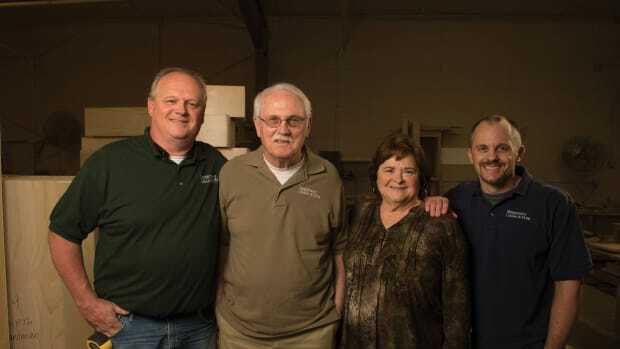 Having lived in the rural area all their lives, owner Kent Merrill and his son Kris know integrity is worth its weight in gold when it comes to getting and keeping clients. The company’s longstanding reputation in the community has helped it sustain the toughest economic times while competitors have gone under. In addition to standing by their products and services, Merrill says one of his key attributes is being honest with clients. “We always try to take care of everybody, take care of every customer, stay ahead of schedule and stay on top. We know not to make promises you can’t keep. If you can’t follow through, it will hurt you. Don’t just tell people what they want to hear. The truth is better,” says Merrill. Being able to keep a proper balance on what to offer clients is equally important. Merrill believes clients have a certain expectation about what the company should bring to the table when it comes to discussing a commission. 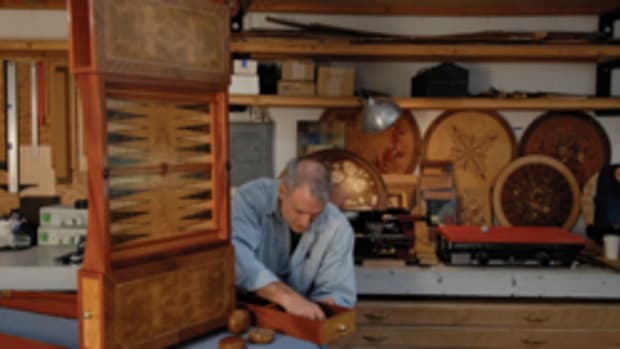 Though he only formed his company five years ago, Merrill had about three decades of woodworking experience prior to opening his own shop. 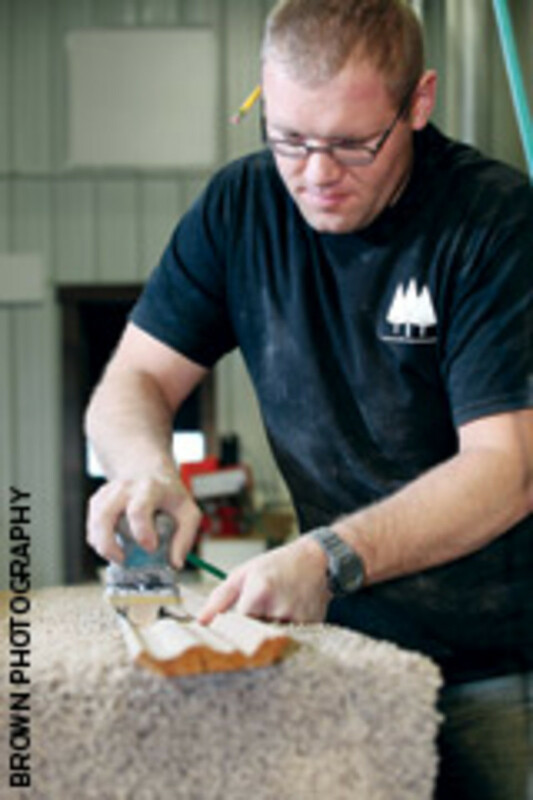 He was first introduced to the trade at age 17 during a woodworking shop class at Rigby High School. 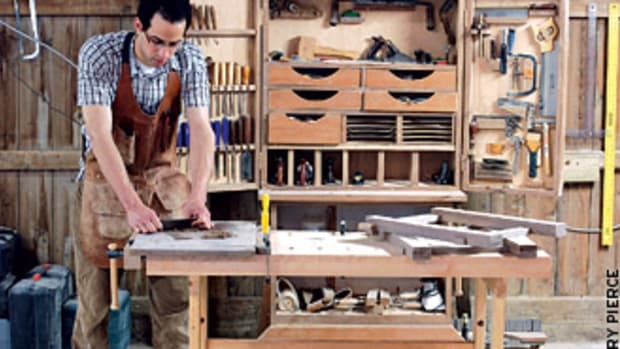 The basic skills he learned there immediately led to an after-school job at his future father-in-law’s shop, Upper Valley Cabinet, also located in Rigby. 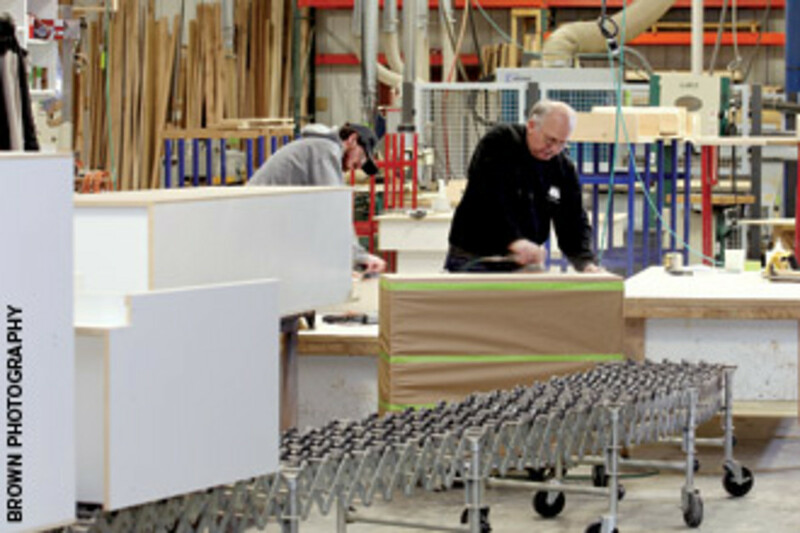 Kris and Kent Merrill Principals of: Merrill Woodworking and Design Location: Rigby, Idaho Number of Employees: 9 Shop size: 10,000 sq. 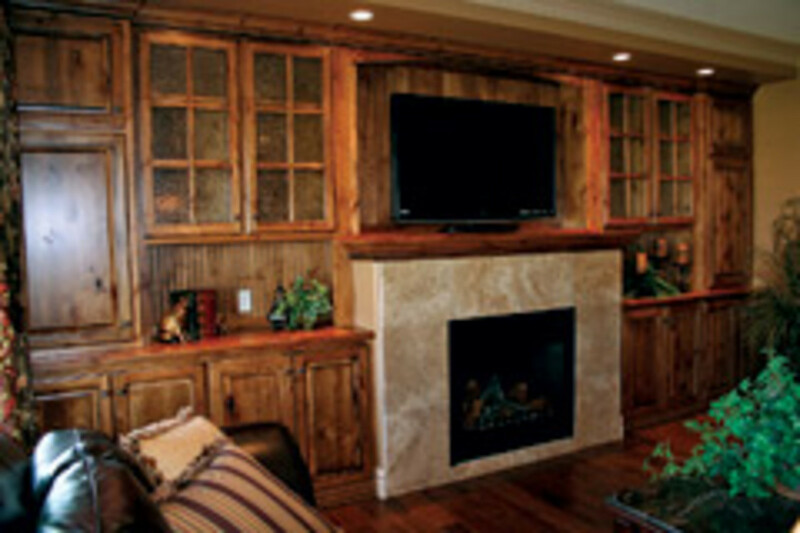 ft. About: A family-run custom cabinet shop that serves the residential and commercial markets in southeastern Idaho. Merrill worked his way up so quickly that within several years, he and his brother-in-law decided to purchase the business from his father-in-law. The partnership lasted for roughly 25 years, until Merrill parted from the company, which is still in business, and formed his own shop. Clients from both residential and commercial sectors are generally located within a 100-mile radius of the shop. The service area covers a vast range of the mountainous region, going east towards Jackson Hole, Wyo., north towards Yellowstone, Mont., and south towards Salt Lake City. 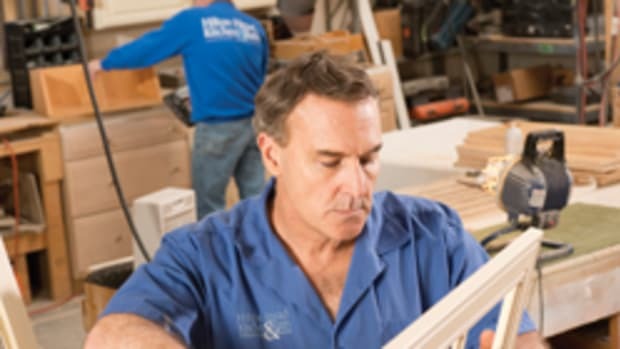 There is an even split between residential clients who contact the business directly for home renovations and commercial clients obtained through general contractors. Merrill says he prefers commercial work because the major decisions have already been made, meaning the clients have selected the materials, colors and designs they want. 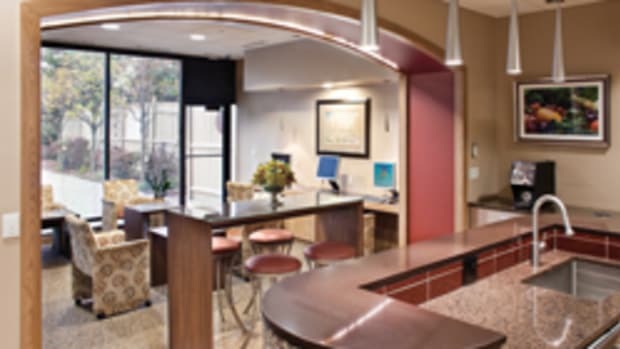 When everything is specified before the job goes to a general contractor, he says projects run a lot smoother. Commercial work generated through builders includes work for local businesses, churches and schools. Merrill easily prefers these over residential jobs. In the residential sector, there is a 50/50 split between remodeling jobs and new construction. Merrill says remodeling is the company’s niche because it works with a number of restoration companies. Though most jobs come by way of referrals, the company does a fair amount of advertising just to keep its name out there with local television and newspaper ads. 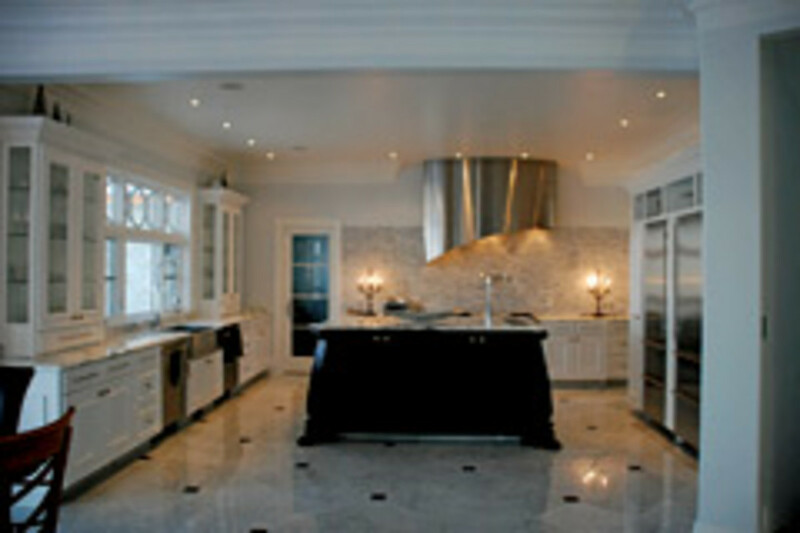 The scope of services includes kitchen cabinets (frameless and face frame), entertainment centers and millwork packages. All finishing is done in house. 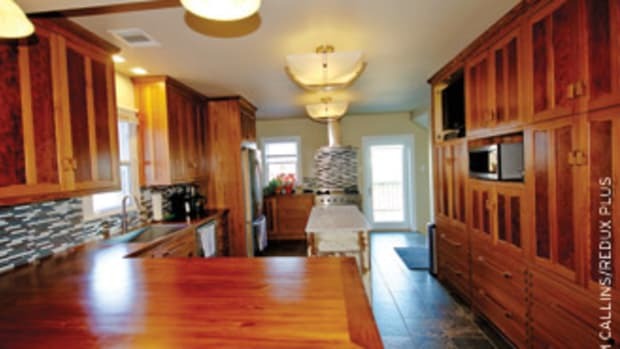 Popular material choices include cherry, maple, oak, walnut, hickory and cedar, as well as several variations of alder. Merrill meets with clients and prepares the initial designs and bids. Kris manages the shop floor and helps with some of the most essential tasks. Merrill keeps his shop equipped with up-to-date machinery. He purchased everything new when the 10,000-sq.-ft. shop and showroom was first built. 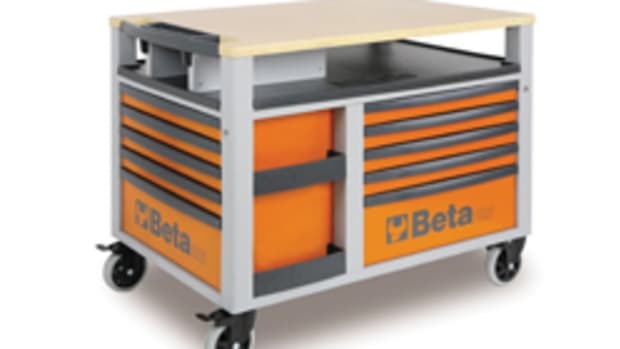 The equipment includes a Weeke BHP 200 CNC router, Brandt Optimat edgebander, Altendorf sliding table saw, SCMI wide belt sander, SawStop table saw, Unique door machine, Weinig Unimat molder, JLT panel and door clamps, and a Castle pocket screw machine. Merrill and his son are very interested in growing the business in the next five years and would like to steer the company toward more commercial work. 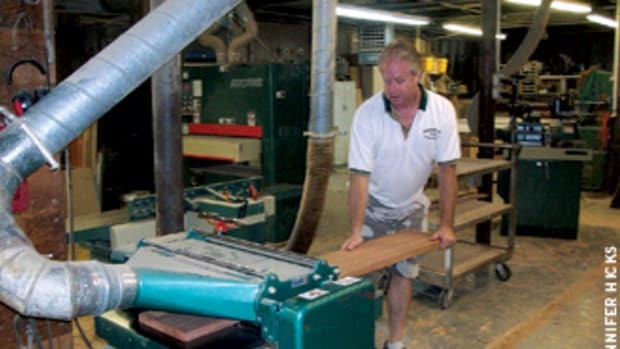 He also wants to continue updating the shop’s machinery to continue providing the best products possible. 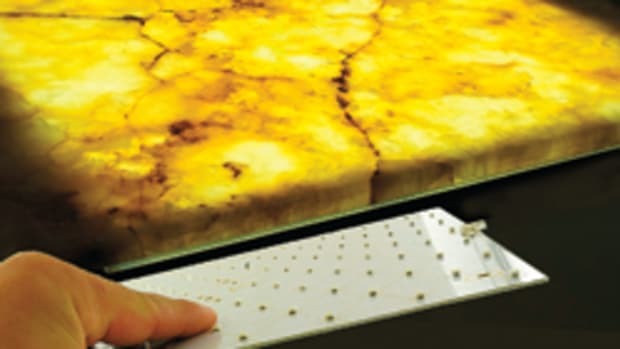 He says the only downside to using the most sophisticated and top-of-the-line equipment is that it can be difficult to deal with customers overly concerned with price. But there is no client shortage at this time. Merrill says the shop often has more work than it can handle and again attributes this to his reputation. There is currently a six-week backlog and business has improved greatly compared since last year.